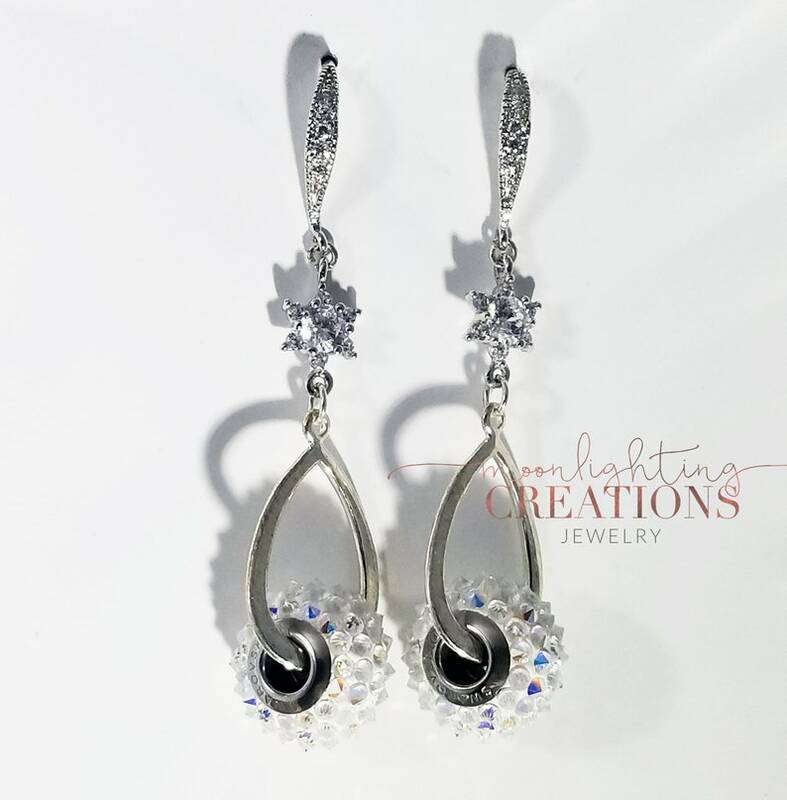 These are handcrafted earrings for a one-of-a-kind sparkling addition to your wedding ensemble! Formals, or just because you want to sparkle! Handmade with Swarvoski Crystals clear double AB finish, Rhinestone ear wire and sterling silver plated components. Earrings are 2 1/2 inches long and 1 inches at their widest.